i: Union Housing and Urban Affairs Minister, Hardeep Singh Puri, launched the ‘Swachh Survekshan 2019’, the fourth edition of the annual nationwide cleanliness survey of urban India in New Delhi. The survey will cover 40 crore people across over 4000 towns and cities. Swachh Survekshan 2019, completely digital and paperless survey, will be completed in a record time of 28 days. i. The Ministry of Culture announced that Archaeological Survey of India (ASI) declared 6 monuments as ‘protected and of national importance’ under the Ancient Monuments and Archaeological Sites and Remains Act, 1958, in 2018. The Vishnu Temple in Kotali, Pithoragarh district in Uttarakhand. i: The 27th New Delhi World Book Fair has begun at Pragati Maidan. Human Resources Development Minister Prakash Javadekar inaugurated the 9-day annual event. ii: The theme of this year is ‘Readers with Special Needs’. i: Indian Panorama Film Festival has begun at Siri Fort Auditorium in New Delhi. Information and Broadcasting Secretary Amit Khare Inaugurated the Festival. ii: A total of 26 Feature Films and 21 Non-Feature Films will be screened during the festival. 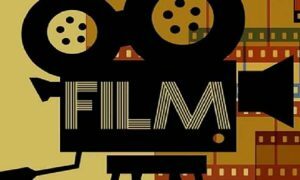 The festival is being organized by the Directorate of Film Festivals, Ministry of Information and Broadcasting. Minister of Information and Broadcasting: Rajyavardhan Singh Rathore (Minister of State). 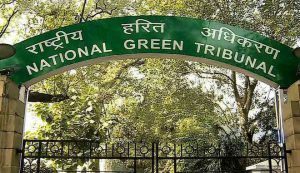 i: The National Green Tribunal has imposed a fine of 100 crore rupees on Meghalaya government for its failure to curb illegal coal mining in the state. ii: The amount of the fine has to be deposited with the Central Pollution Control Boardwithin two months. The action comes after a high-level committee submitted an adverse report to a bench headed by NGT chairperson AK Goel. i: The 80th National Table Tennis Championship began at Jawaharlal Nehru Indoor Stadium in Cuttack. As many as 35 teams, including 550 players from different parts of the country are participating in the mega championship. 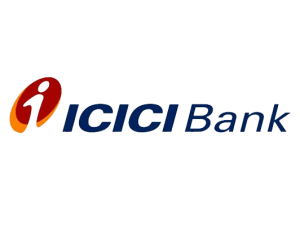 i: ICICI Bank, in a first-of-its-kind programme, signed a Memorandum of Understanding (MoU) with Small Business FinCredit India Pvt. Ltd. (SBFC), a systemically important Non-Banking Finance Company for entrepreneurs, to jointly provide credit worth up to Rs 1 croreto MSMEs for a tenure of 15 years. ii: Under this arrangement, ICICI Bank will co-originate loan against property with SBFC at a mutually agreed ratio. ICICI Bank Headquarters: Mumbai, MD& CEO: Mr. Sandeep Bakshi, Tagline: Hum Hain Na! i: Andhra Pradesh emerged on top of Asia Competitiveness Institute (ACI),Singapore’s 2018 Ease of Doing Business (EDB) Index ABC rankings for economies of 21 states of India, while Maharashtra and Delhi came in second and third place, respectively. ii: EDB index is based upon three parameters called ABC – Attractiveness to Investors, Business Friendliness and Competitiveness Policies. 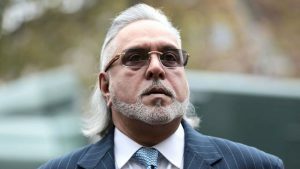 Andhra Pradesh rose from the 5th rank in 2016 to the top spot in 2018.
i: Vijay Mallya became the first tycoon to be charged under a new anti-fraud law, with a court in Mumbai naming him as an offender under the Fugitive Economic Offenders Act, 2018.
ii: According to the new law, a fugitive economic offender is a person against whom an arrest warrant has been issued for his or her involvement in economic offenses involving at least Rs. 100 crore or more and has left India to avoid prosecution.